#1913: NYS Budget On Time This Year? [Continue reading...] about #1913: NYS Budget On Time This Year? WAMC’s Alan Chartock speaks with New York Times Albany Bureau Chief Jesse McKinley. 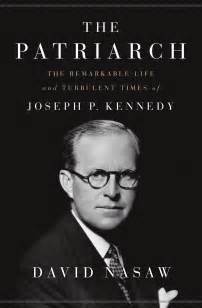 A 2013 encore In Conversation interview with WAMC’s Alan Chartock and Dr. David Nasaw, Author of the New York Times best-selling book The Patriarch: The Remarkable Life and Turbulent Times of Joseph P. Kennedy.